With the weather taking a turn for the brighter and drier this week, I’ve been able to put in a few more hours on the Plot #59 asparagus bed to-be. 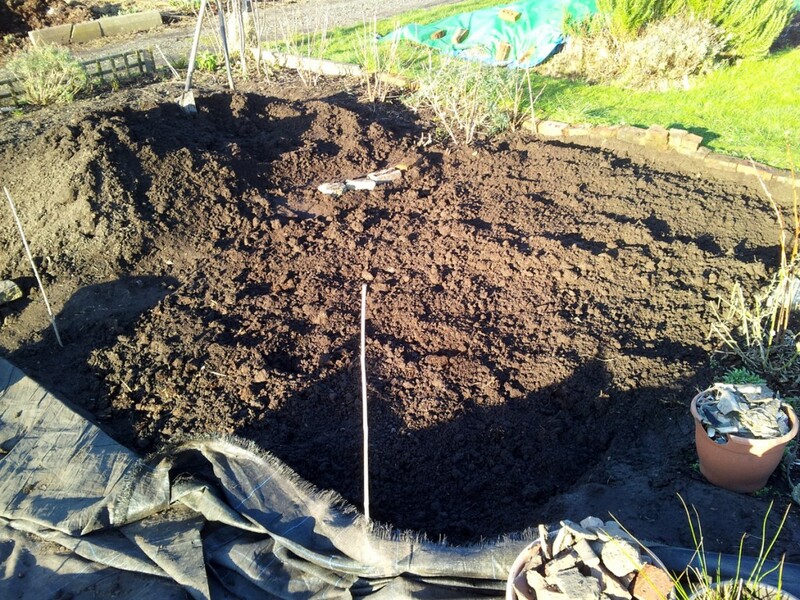 After the basic preparation phase – an initial dig-over to remove as much rubbish weed root and rhizome as possible – the next phase involved adding a large amount of fertilizer in the form of well-rotted horse manure. 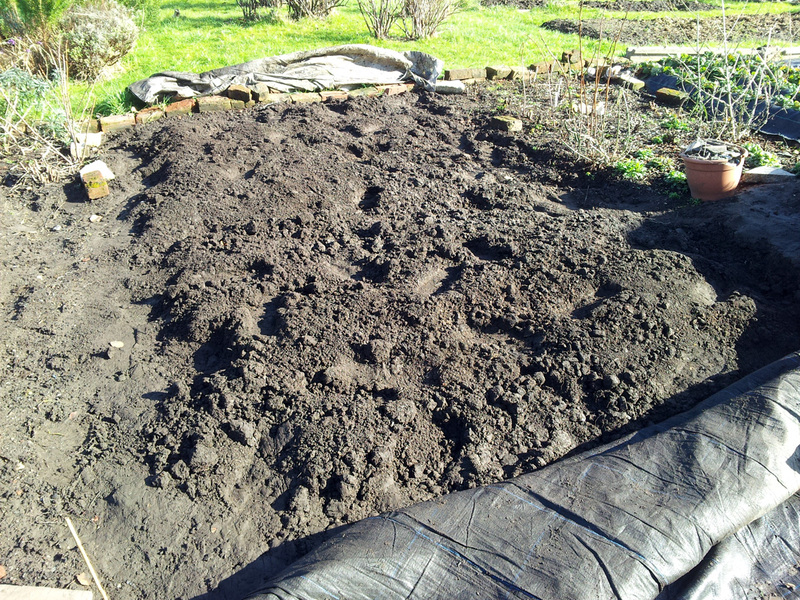 Coming along nicely: trench excavation, manure dumping, re-covering. …and continue until the job was done, over the course of two afternoon sessions, mostly in glorious late-winter sunshine. Here’s the finished job; not much different to the ‘before’ state, admittedly, but it’s what’s lurking beneath the surface that counts. The final preparation stage will involve copious amounts of grit. 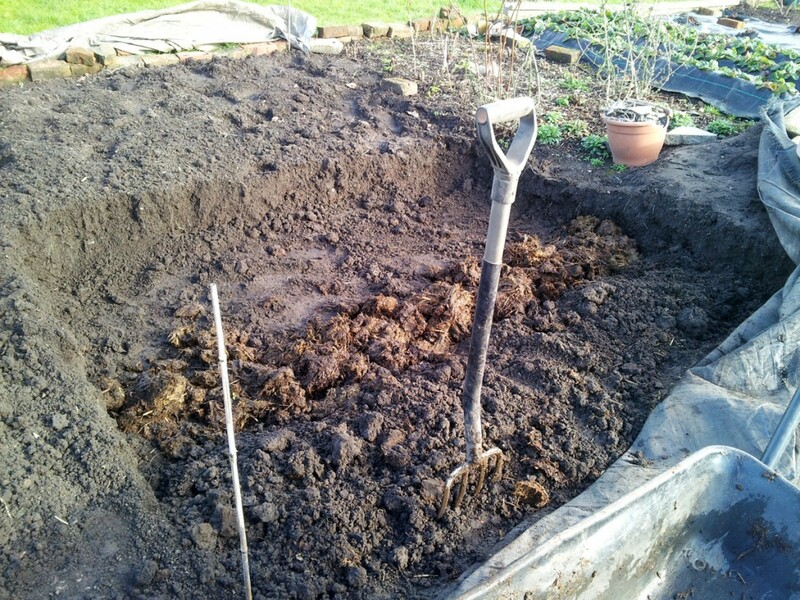 That will need mixing in, along with as much of the surplus soil as is required, and then forming into the three long ridges that the asparagus crowns will be planted on top of. Hopefully at the weekend, weather allowing.